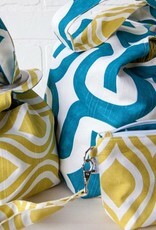 Reversible and hand-washable, this SMALL tote from Binkwaffle is approx. 6"x6"x14". It holds a smaller project or two, usually two skeins of worsted or smaller yarn. Great for socks, baby sweaters, shawls, scarves, etc. 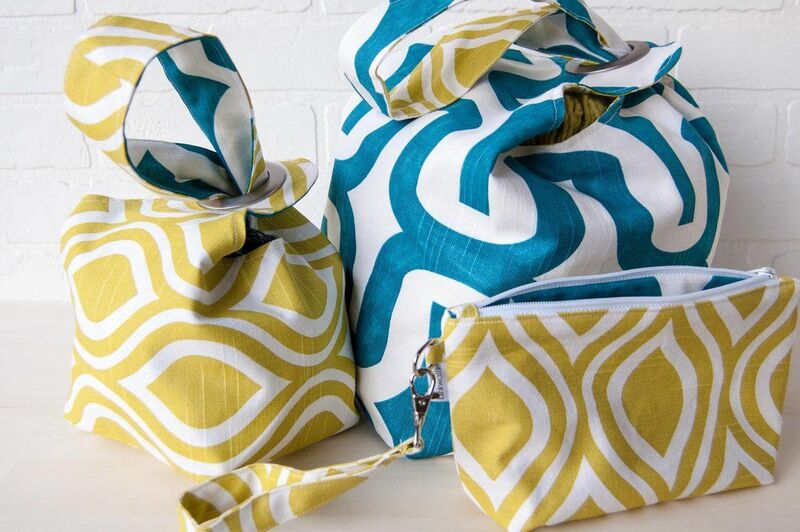 Two or three SMALL Dumpling Bags fit into a LARGE Dumpling bag to keep all your projects contained!